Fjærholmen on the east side of Nøtterøy is the municipality’s biggest and best bathing area. There are lovely smooth rocks and a grassy area with a children’s playground. 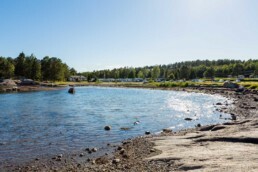 The Nøtterøy Familiecamping campsite is right next door. 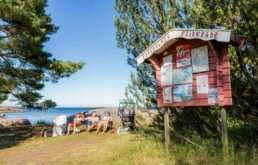 Easily accessible by bus from Tønsberg.